Trading has always been a tricky job; achieving higher alpha is among the top priorities of fund managers. Although this might seem like a mere ‘smart job’, with the zillion amount of information flowing through every second into the financial markets, a fund manager (FM) is rendered unable to cope and get his job done with high performance and maximum return. 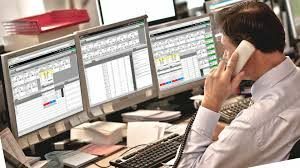 Multi-asset (cross-asset) class trading involves good amount of research and analysis, and to make a profit through this practice requires a FM to actively work alongside the trader – Alpha is what it is all about (Skinner, 2007). Finding liquidity and making profit on trades executed with greater spreads and returns has been the ultimate aim of most hedge FM’s. But with increased regulation and transparency in today’s financial markets FM’s have had to look into better approaches to attain the desired alpha and ultimately make profits. Use of algorithms in trading has seen significant growth in the past decade. Various strategies exist to aid an FM in his/her quest for alpha. These differ across asset-classes, trade sizes, risk appetite and various other factors. This article the first in a series of Algorithmic Trading articles aims to discuss the fundamentals of algorithmic trading with a view on modeling techniques which may help in deciding an algorithm strategy. In subsequent articles we theoretically build an alpha-model capable of smart-order routing across multiple venues. We will also touch on a few algorithm evaluation guidelines based on research in this area. We finish this series of articles with emphasis on the impact of technology in the growth of algorithm trading. The series ends with analysis on an idea of use of cloud computing to implement algorithmic models. The one principle many hedge funds follow is – make money when it’s the right time and before anybody knows it’s possible. They actively trade on both sides of the order book, whether the market is heading up or down. Ability to find liquidity across all asset classes across geographies may not be a reality today but with the impact of technology and the alarming growth seen in the alternative trading space this may not be a distant possibility. Spending was hit but the proactive fund managers will take any downturn as an opportunity to implement algorithms that will recover their lost dollars in a short span of time. FM’s are on the lookout to adopt ways to improve their trading strategy. By employing PhD’s and mathematics scholars to develop complex arbitrage models they are among the early adapters of technology, to aid in making financial decisions. Technology enables cheapness of processing, networking and connectivity, combined with increasingly powerful solutions and services. FM’s are pushing the boundaries of what technology can do more and more each day in order to find liquidity (Skinner, 2007). The days of OMS and EMS are ripe and hedge funds are looking at AES that will aid them in achieving their goals. Use of mathematical models gives some hope in this direction and as these systems have been in place with many of the big STO’s for a few years, a lot is happening in this space. What is in it for the trader? Apart from initiating an algorithm, a trader does not have to be involved in any other decision in algorithmic-trading. This does not mean the algorithm is going to replace the trader; rather it is the trader with quantitative analysts devising new algorithms and tailoring existing ones (Bates, 2007). Monitoring and managing hundreds of independent algorithms using a graphical dashboard is the way forward to scale traders’ productive. In an article (Cohn, 2006), Jonathan describes a thoughtful comparison of Batman and the buy side trader. He explains how efficiently a trader could use the rich set of algorithm trading capability available to him to achieve his goals, just like how batman fights against crime. The idea is not, to have a whole set of techniques under ones belt but how creative the trader uses these to his advantage viz. to reduce costs, increase trade efficiency and free up critical time to work complex orders that demand his expertise and experience. He discusses some roadblocks the buy-side trader should aim to clear to make efficient use of these tools. * Having limited view of strategic options. * Too many options to consider. Jonathan also evaluates some ideas to help the trader realise the full potential of his tools. Algorithmic Trading desk should conduct assessments with traders on their current use and desired use of algorithms. Trainings, experiences and growth plans for algorithmic trading will bring to light areas for expansion. Developing algorithms with complex features is a challenging task and to break down the task into sub-tasks will aid in deploying algorithms with a rich set of features. Algorithmic Trading desk should develop a mapping of trading goals to algorithm type. Trading goals will vary by FMs’ needs and market conditions, and traders should have a clear map of when different algorithms should be used to best accomplish their specific trading requirements. When opting for a vendor developed algorithm, trading desk should conduct a vendor review to evaluate if an in-house development is in any way advantageous.